The romantic vision of writers penning great works of art while surrounded by stunning outdoor vistas will soon become reality for University of Idaho creative writing students. 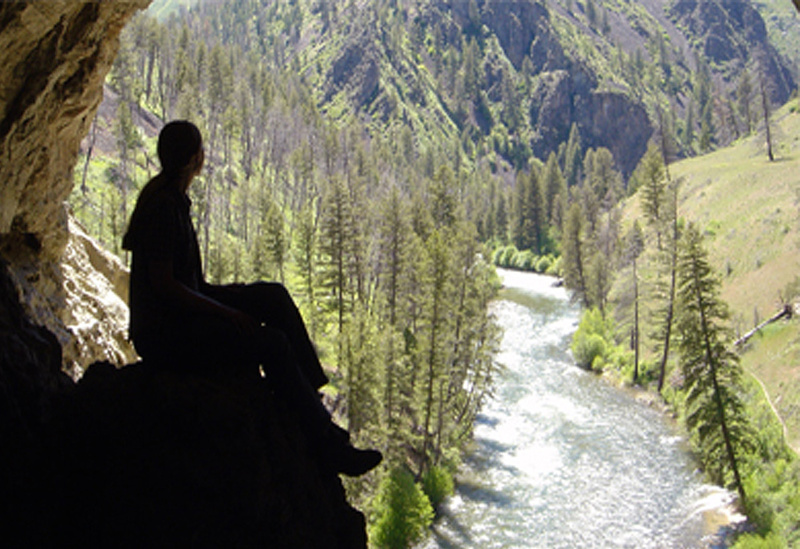 The Idaho MFA in Creative Writing Program has established a new writing retreat fellowship that gives students the opportunity to work in Idaho’s world famous wilderness areas. The competitive “Writing in the Wild” fellowship fully supports a student to spend a week at either the McCall Outdoor Science School (MOSS), which borders Payette Lake and Ponderosa State Park, or the Taylor Wilderness Research Station, which lies in the heart of the Frank Church River of No Return Wilderness. Both campuses offer year-round housing. The writing retreats will allow students to concentrate solely on their fiction, nonfiction or poetry. Because both locations often house researchers, writers will also have the opportunity to collaborate with foresters, geologists, biologists and other scientists. Students visiting MOSS or Taylor Ranch will find expansive reaches of space to engage with rivers, lakes and forests. Two “Writing in the Wild” fellowships will be granted in 2012-2013. Heckman says future plans include additional fellowships, as well MFA writers sharing their wilderness experiences in K-12 schools to demonstrate how the state’s natural wonders can foster creativity, innovation and inspiration.